I think we have the makings of a meme, here people. Thanks, Illinois Review for this bountiful opportunity with a headline that reads like something from the Onion. 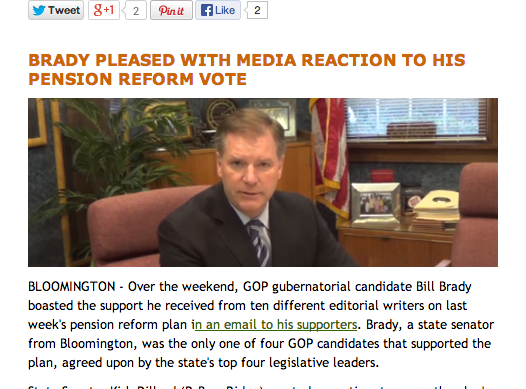 What do you think Bill Brady is pleased with today? We've shared a few our own this morning. You can make your own #BillBradyIsPleased meme here on Imgur.